The SteamPlant Event Center will host two exhibitions this August. 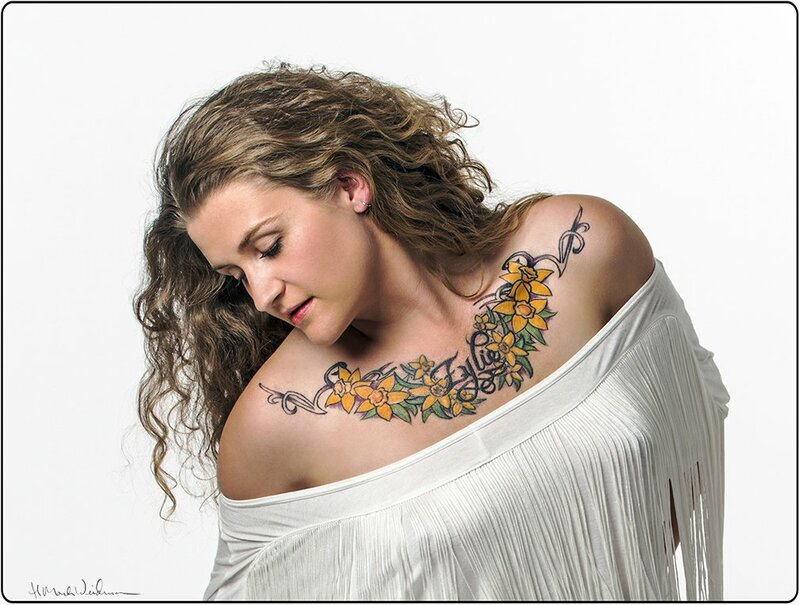 Photographer H. Mark Weidman’s Salida Ink will be featured in the Paquette Gallery, and watercolorist Nancy Kay will be in the Diesslin Gallery August 1 through August 30, 2017. Weidman discovered his passion for photography after enrolling in a photojournalism course at the University of Utah. He completed his photography degree at Rochester Institute of Technology. Weidman’s images have appeared in many national magazines, including Outside, Audubon and National Geographic Traveler & National Geographic Books and The New York Times Magazine. Commercial clients include Lands’ End, DuPont, W. L. Gore (Goretex), Graphic Arts Center, and most major textbook and calendar publishers. He has a library of over 150,000 images, which he licenses through agencies around the world. His photography has been exhibited at the Smithsonian and featured in two PBS documentaries: “Faces of the North” and “Pennsylvania”. His critically acclaimed book, Pennsylvania, was applauded by James Michener as “brilliantly evocative”. Mark and his wife settled permanently in Salida nine years ago. Since then, Mark has focused on photographing people in the outdoors and Colorado landscapes and wildlife. He also built a studio where he shoots artwork for local artists and organizations. 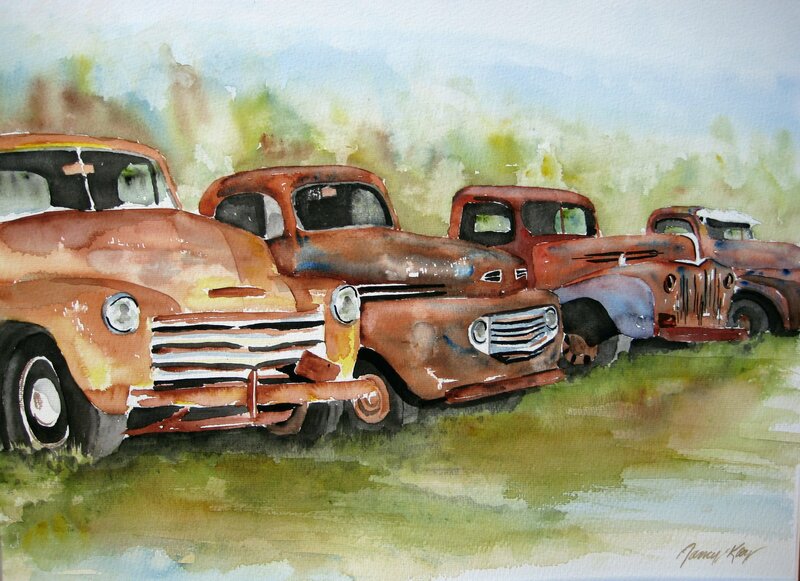 Nancy Kay enjoys painting old rusty trucks, landscapes, architecture and unique perspectives of objects. 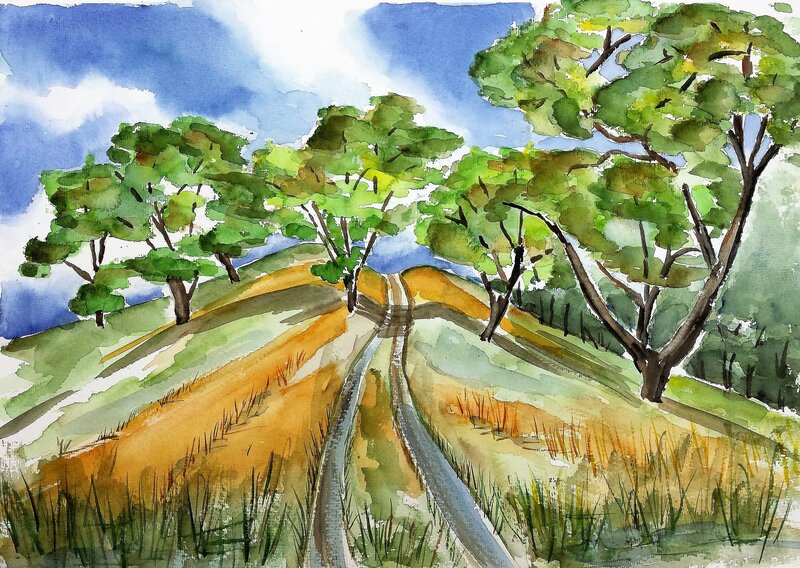 Painting watercolors has been her hobby for over a decade, and she is now enjoying the freedom to her pursue her creative passion. A retired engineer, Nancy spent her career in mechanical design focused on very precise drawings. Spending more time in the studio experimenting with color and shapes as well as studying in watercolor workshops has helped Nancy ‘loosen’ her painting style. Originally from Northern California, Nancy has called Salida home for five years. Nancy looks forward to becoming more involved in the local art scene and galleries, as so many creative people and the beauty of the mountains inspire her. Please join Mark and Nancy for an artists’ reception on Saturday, August 19 from 5:00 to 7:00 pm in the Paquette and Diesslin Galleries. Free hors d’oeuvres, beer, and wine will be served. *Please note that this reception will take place on the third Saturday in August rather than the usual second Saturday art reception. Join the Salida Council for the Arts and the Salida Creative District on Thursday, July 13 in the Paquette Gallery for a fine and festive social hour from 5:30 to 7 pm. Munchies are served, the cash bar is open, live music will be playing, Mark and Nancy will speak about their respective work, and you’ll hear news about the many creative projects being launched.